Built 1964-1968 by Claude Paillard and Hansjörg Gügler. Opened 15 March 1968 with Beethoven's "Fidelio". Main theatre: 771 seats (opera seating) or 855 seats (drama seating). Studio stage: 200 seats. 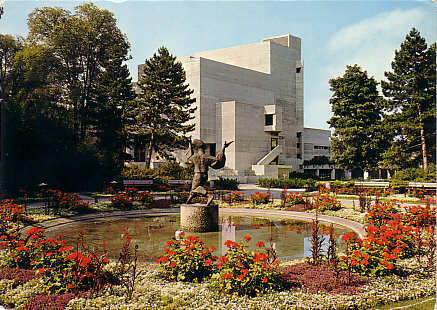 1997 facade renovations. 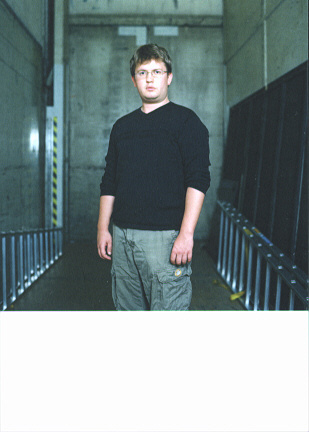 Used for opera, musical, and drama performances by the resident companies. 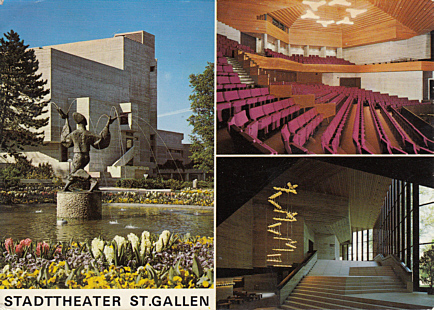 Reverse Text: "St. Gallen, Stadttheater und Stadtpark"
Front Text: "Stadttheater St. Gallen"